Seafood is one of the pillars of the cedeirosa economy. For decades, the "barnacles" have been climbing the mid-sea rocks and the Blancas to extract the precious crustacean. 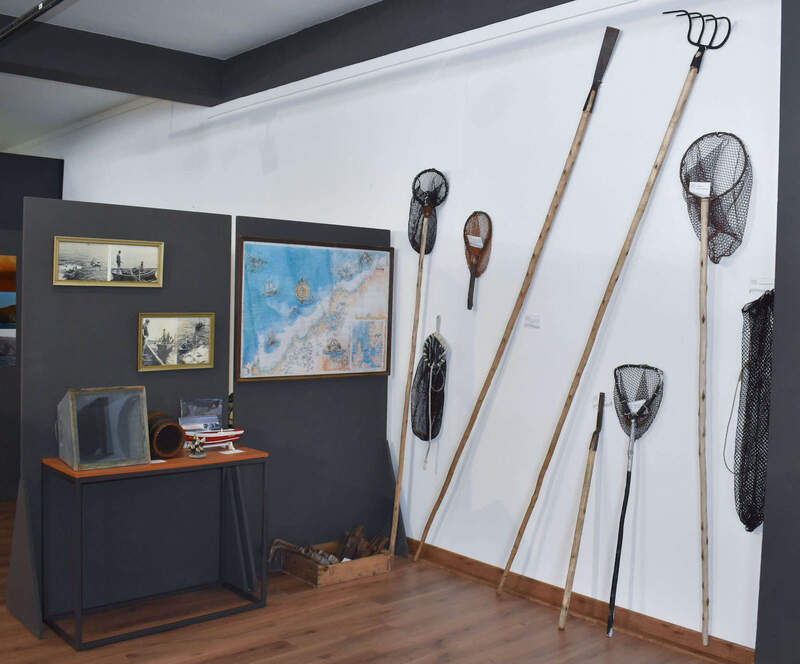 Cacha, rapeta or salabardo are tools used by this group of people who use shellfish workers to extract cockles and the coquina, a highly prized species of clam, are displayed in this room in which visitors can learn in detail the characteristics of the Cedeira estuary, which has a marine reserve declaration, a recognition and declaration that contributes to the environmental protection of the same.